U.S. intelligence agencies are picking up chatter about something big coming their way. A series of calculated executions of undercover intelligence personnel in Washington, London and Pakistan convinces the Oval Office that this is the attack the world has feared. 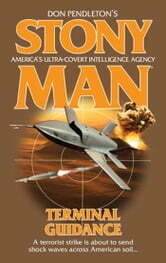 The Stony Man teams deploy to the hot spots, fighting to connect the dots in a plot to blow dirty bombs in Boston and Peshawar. And every minute counts as the warriors seek to smash a deadly alliance of terror that seems to have unlimited power and resources.